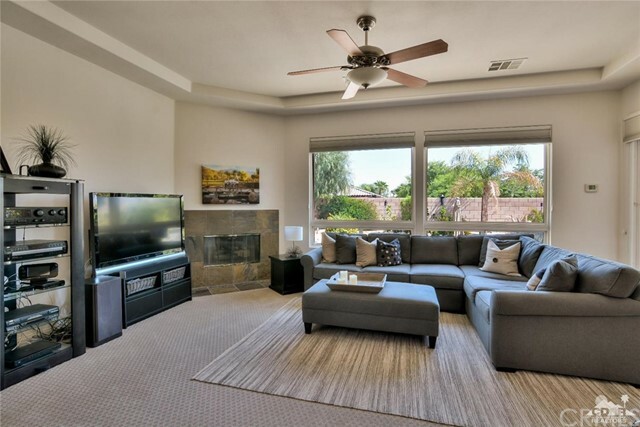 This spacious home has a large open floor plan with 4 bedrooms 3.5 bathrooms plus a large den/office and is located in Rancho Santana. 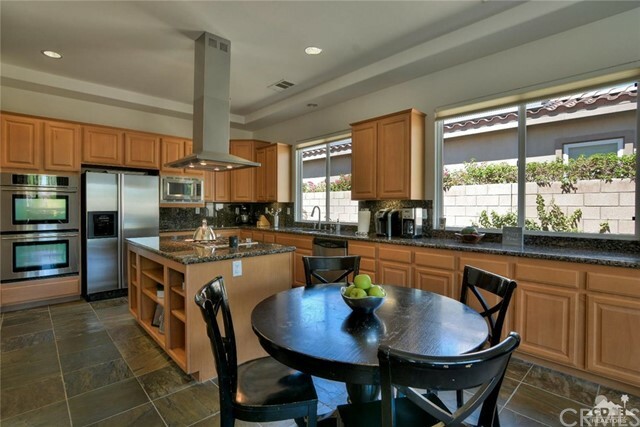 Enter this meticulous home into the bright open living and dining rooms with views of the pool and spa area. 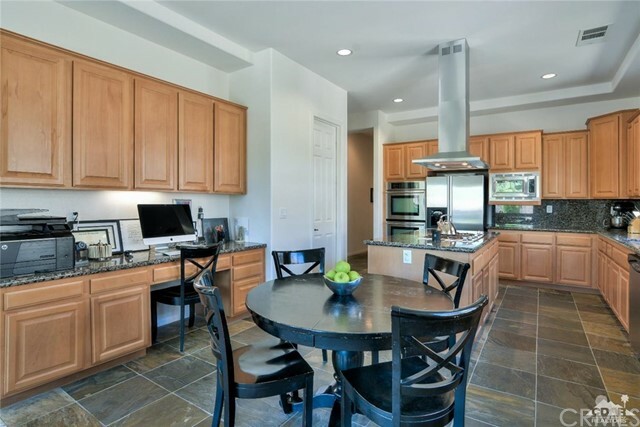 The gourmet kitchen features stainless steel appliances, granite slab counter tops, an island bar and opens to the large family room with a cozy fireplace. 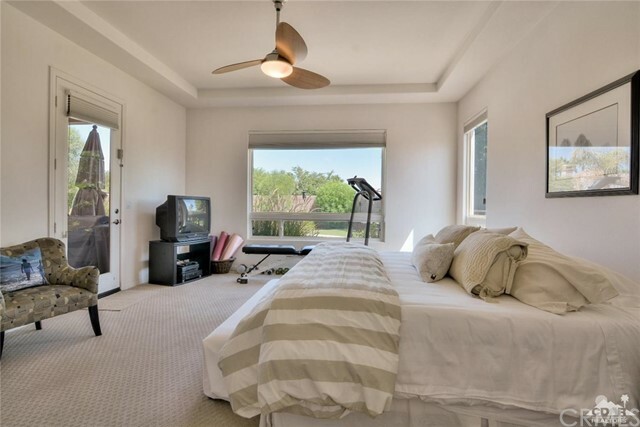 The master suite is separate from the three guest bedrooms and has a private door to the pool area. 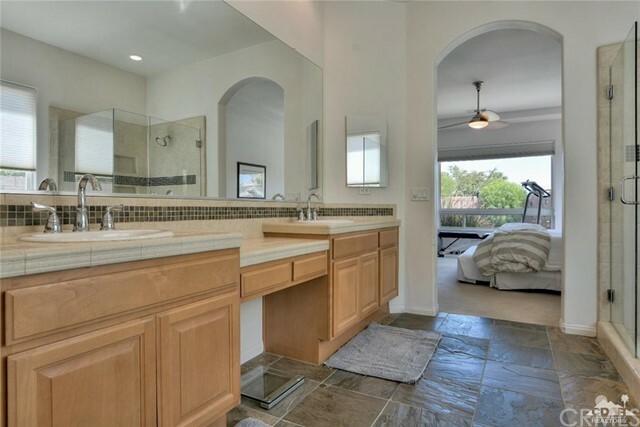 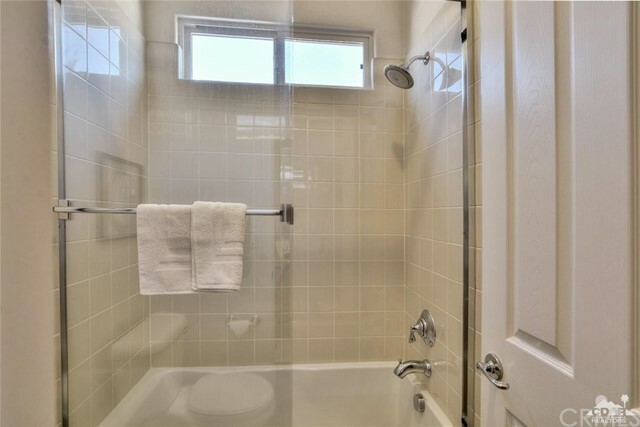 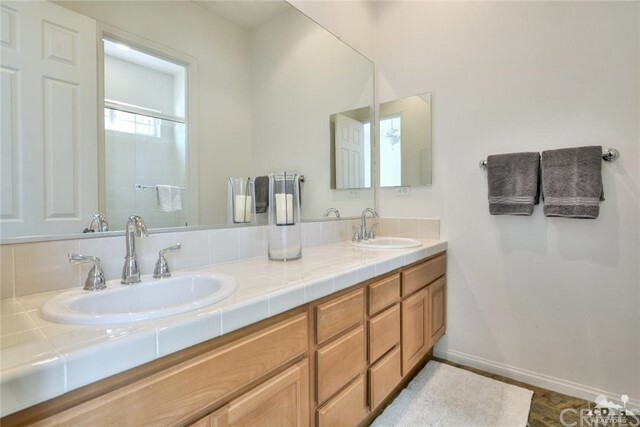 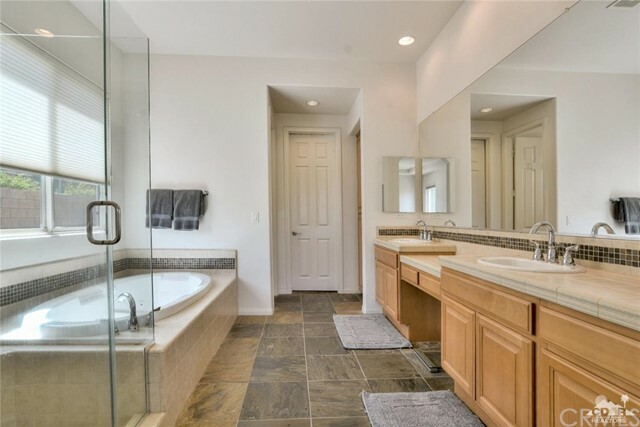 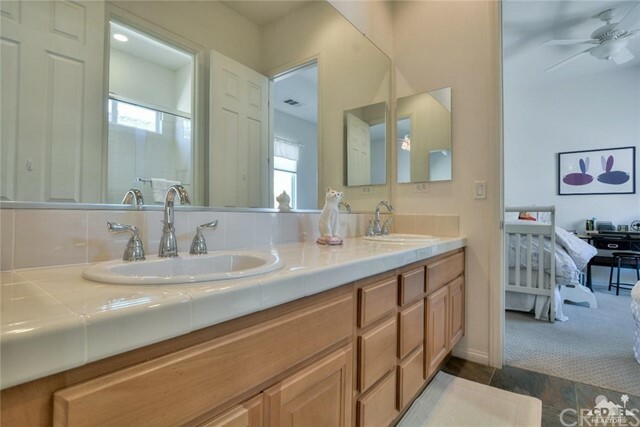 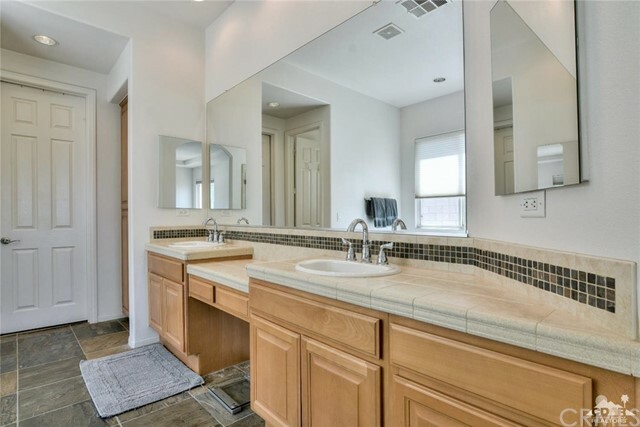 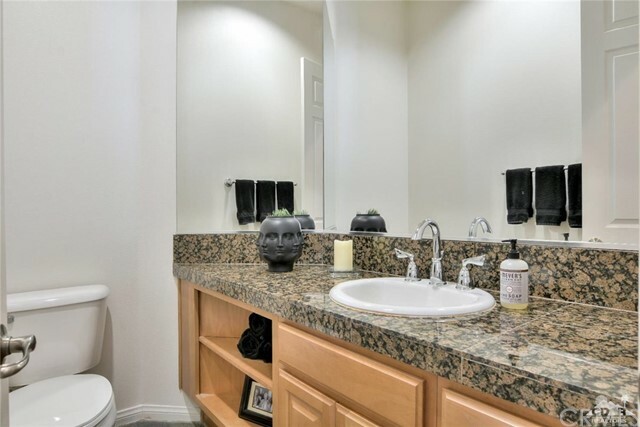 The master bathroom has dual vanities, soaking tub, shower and large walk-in closet. 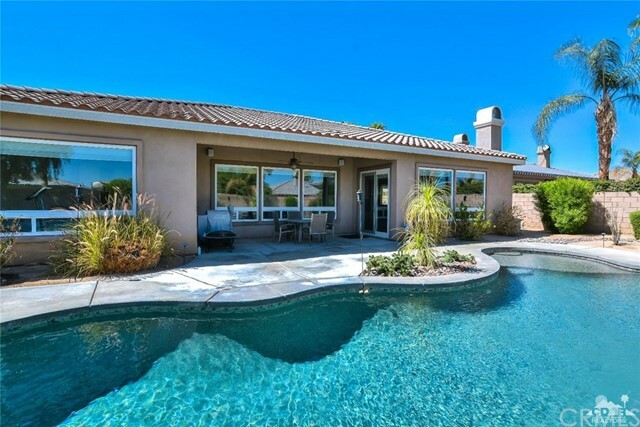 The mature backyard has a pebble Tec pool and spa and is perfect for outdoor entertaining and the ultimate desert lifestyle. 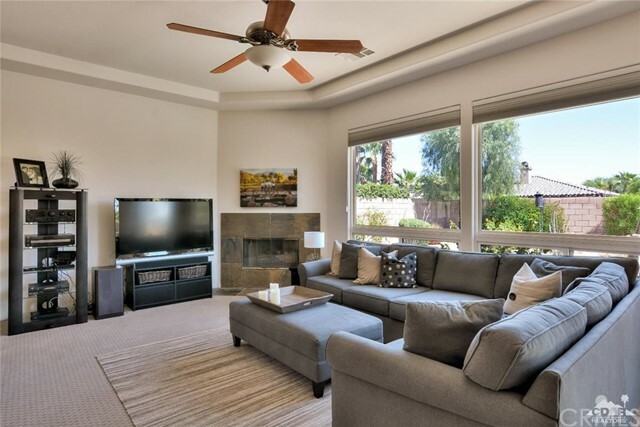 Rancho Santana has walking trails, two parks, putting green, playground and is close to the Empire Polo Fields, with its world-renowned events. 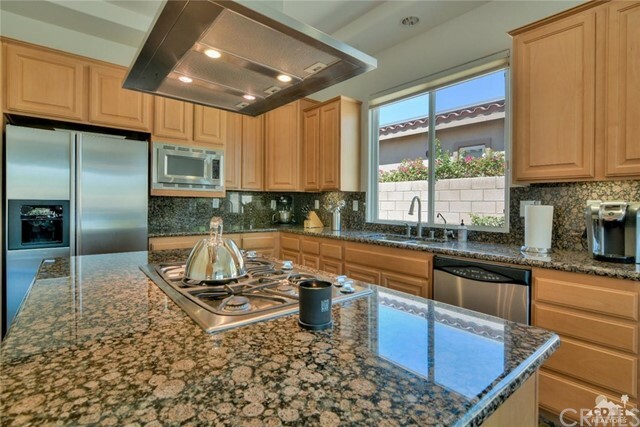 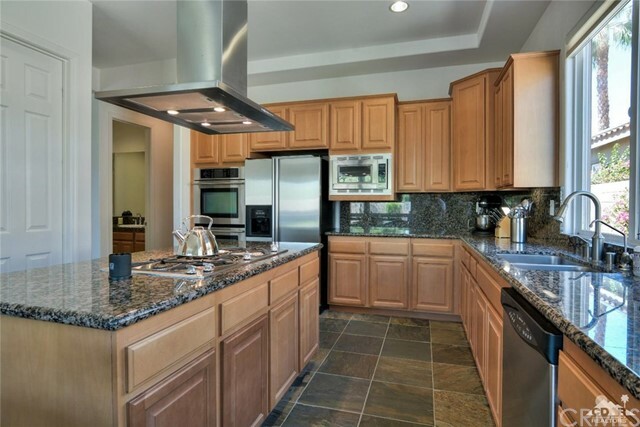 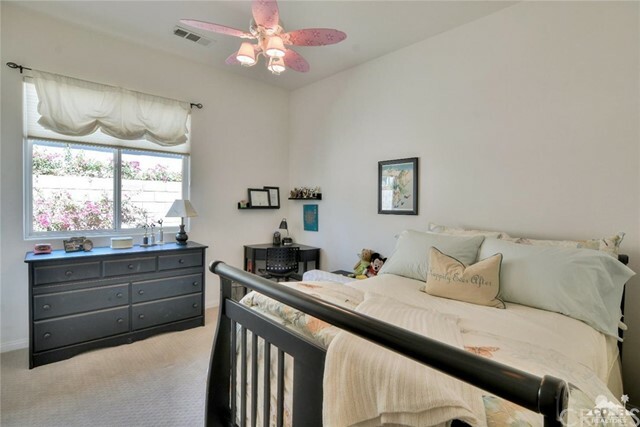 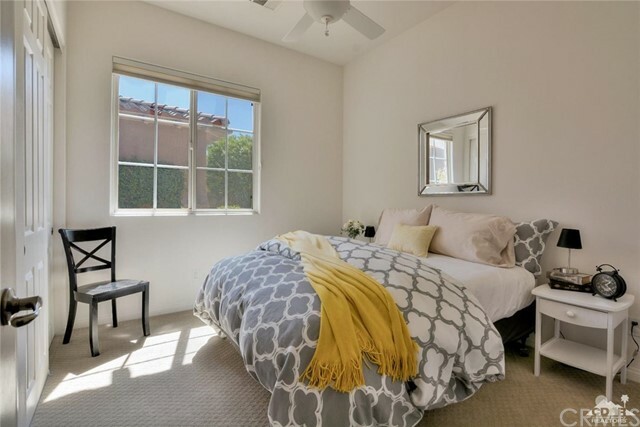 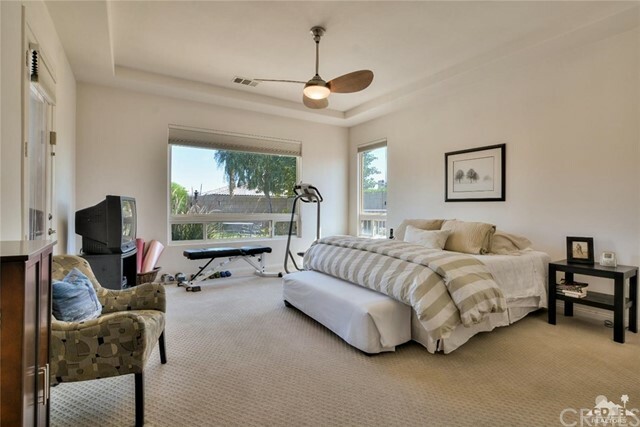 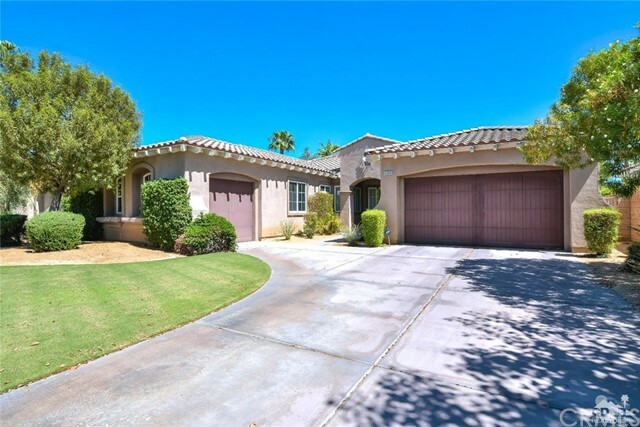 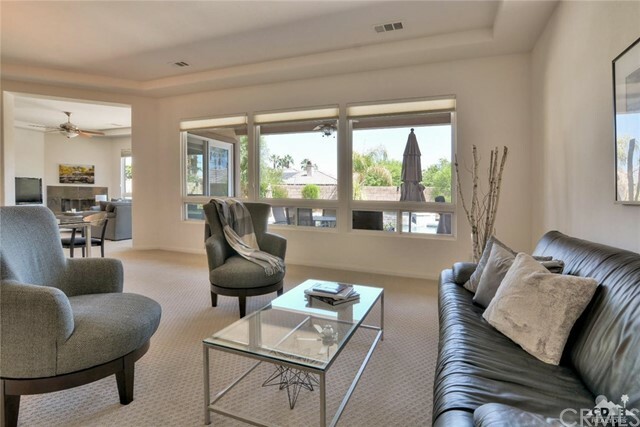 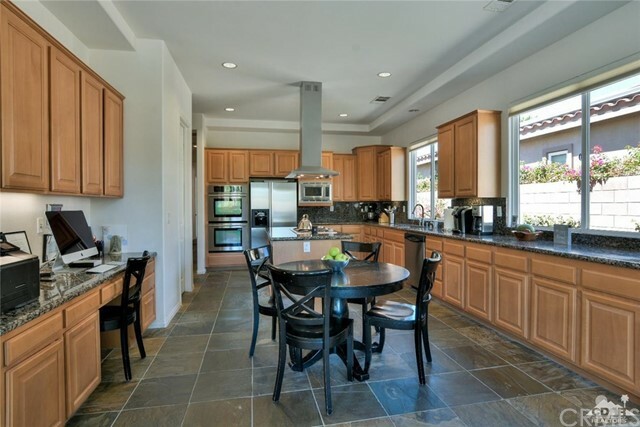 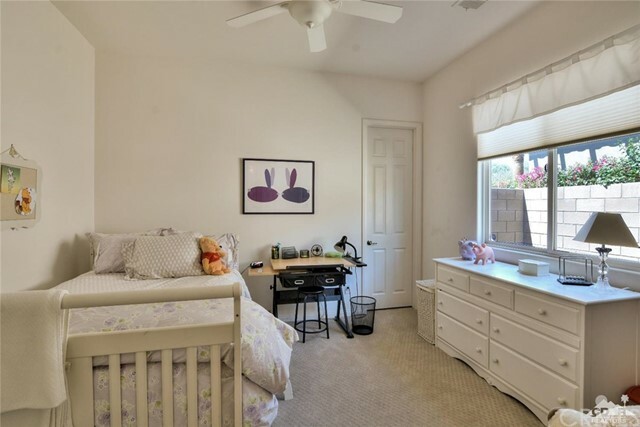 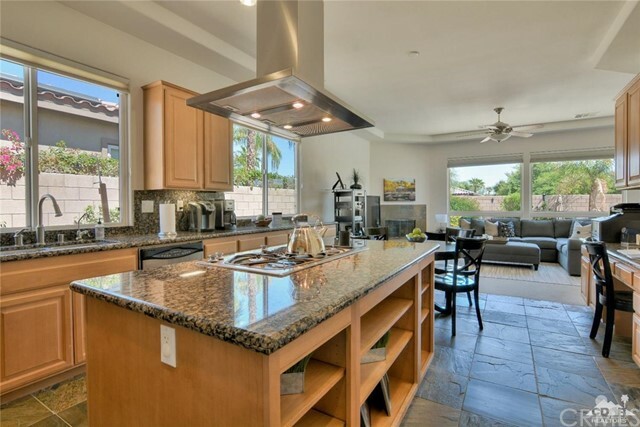 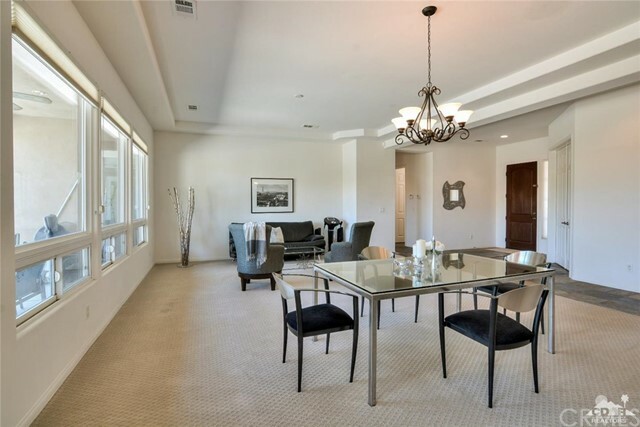 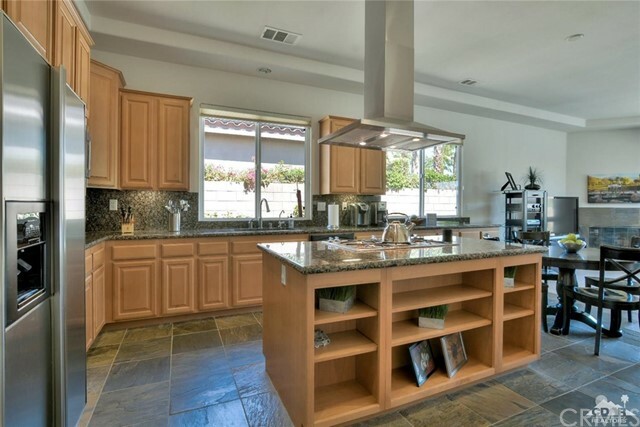 Also close to hiking and biking trails plus shopping and dining in charming Old Town La Quinta.